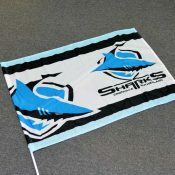 We can make hand flags to any size. 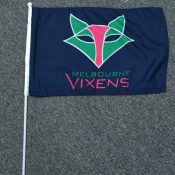 We manufacture for promo companies, sporting clubs, promo events, for wholesale and anyone else that need custom printed hand wavers. 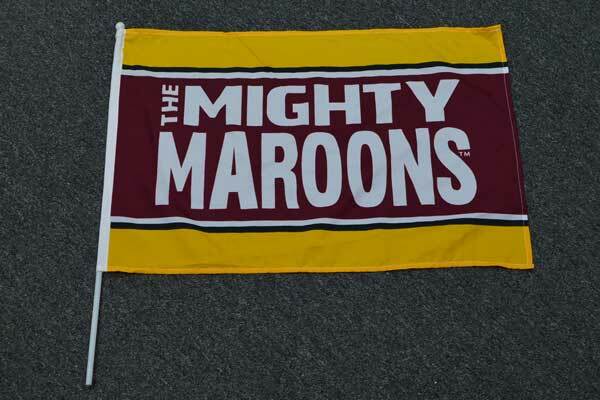 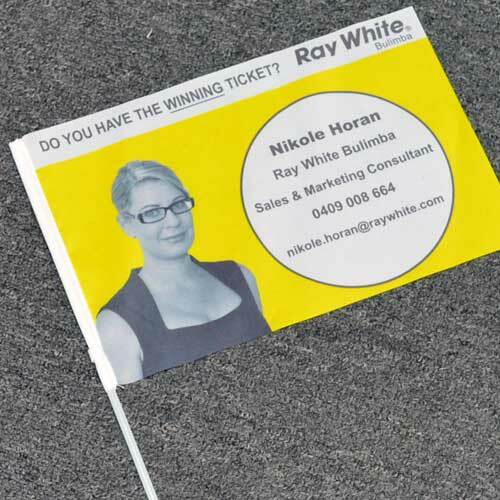 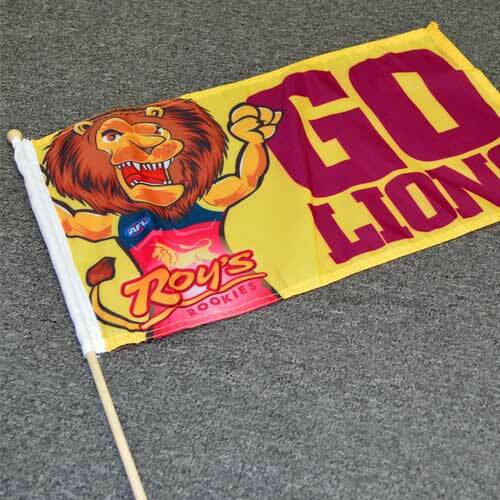 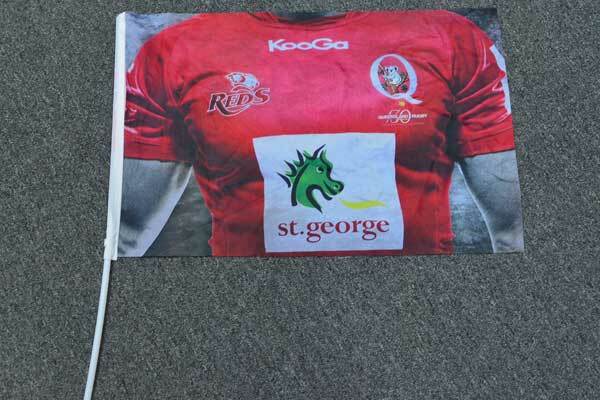 Our high quality printed hand flags will suit any occasion inquire today. 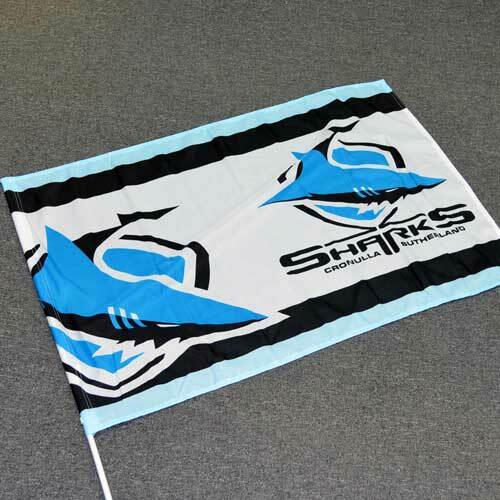 For the smaller sizes upto 60cm x 90cm we have a minimum order of 25 units. Producing any less would not be economical for you or us. 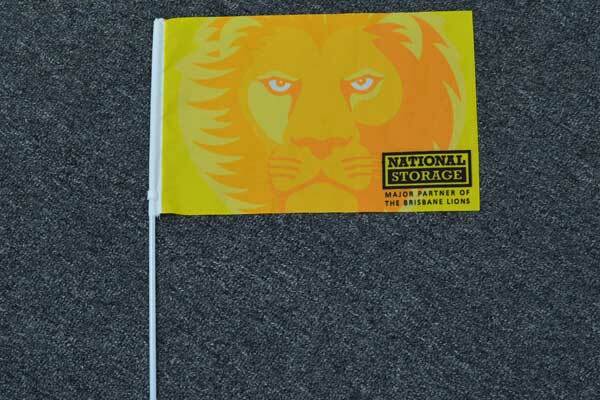 Below we will give you the most common sizes for hand flags and you can decide if you need that size or something different. 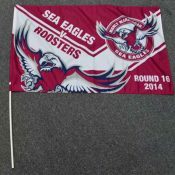 Any size can we made. 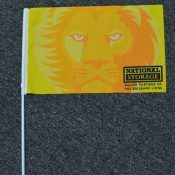 The common flag material for hand flags is 100D polyester its a light weight and inexpensive material and perfect for hand flags. 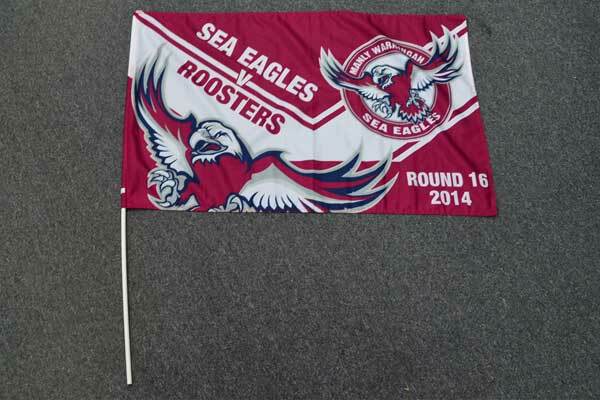 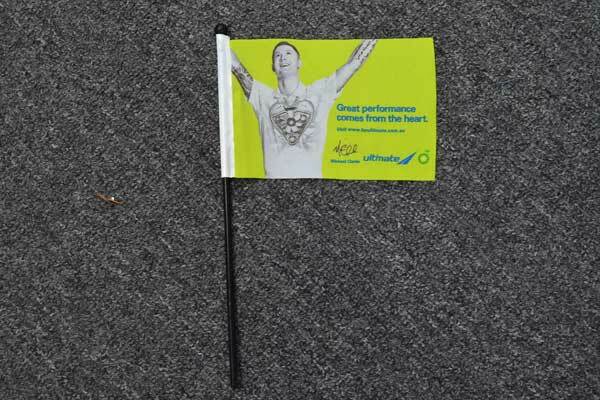 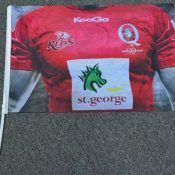 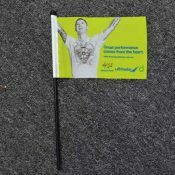 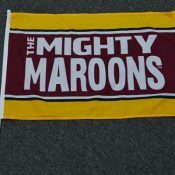 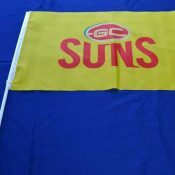 Their are two finishing’s for flags either heat cut or hemmed please let us know which type you need on the quote form. 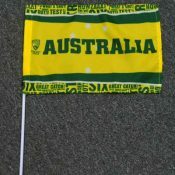 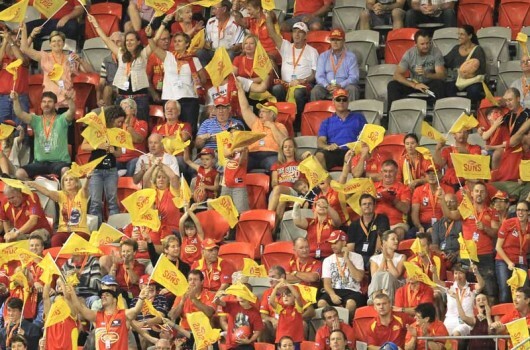 90% of hand flags are made single sided having the image on the other side in reverse as these flags are small and is not necessary for double sided 3 layer flags. 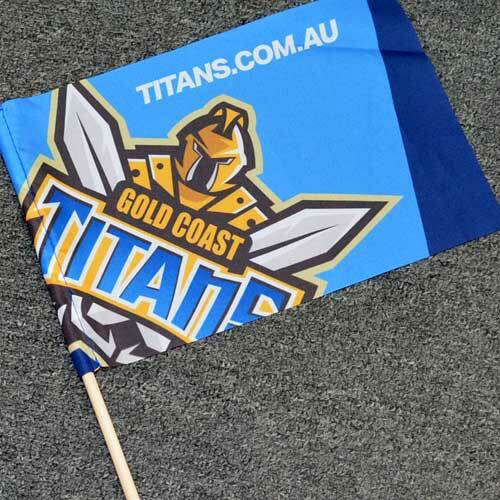 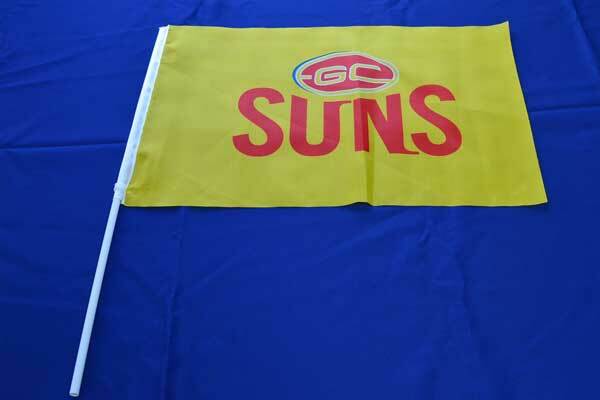 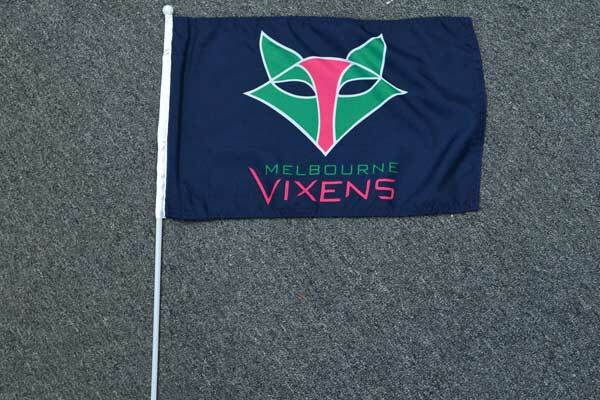 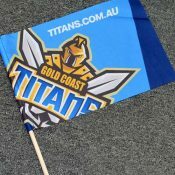 Although if you need the hand flags to be double sided 3 layer flags then we can do that. 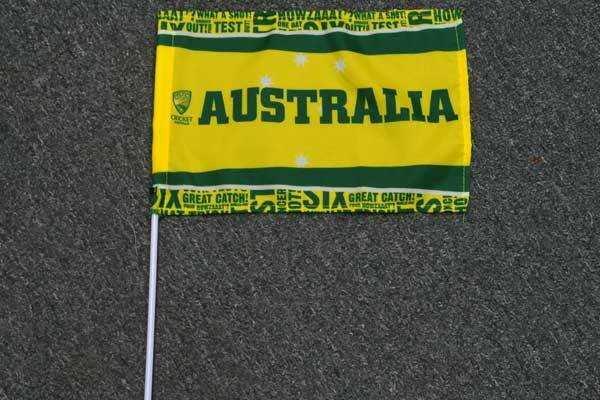 you can read about single sided or double sided flags here Single side or Double side.